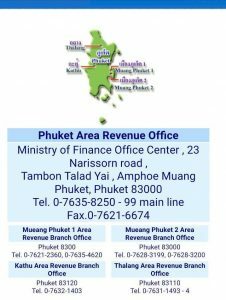 The TM30 and its underlying laws are about the obligation of a landlord (or house master, possessor, manager) to report the stay of any foreigner (non-Thai national) in his/her property. All foreigners staying in Thailand and their hosts should be very well aware of this. The law with regard to the TM30 and the obligation to report a foreigner's stay have been in place for a long time, but the government has started to enforce it more strictly lately, and changed some of the procedures with regards to your 90-days reporting and extension of visa. What is the purpose of the (new) regulations? Basically, with the TM30 form, the government aims to know exactly where each foreigner is staying all the time. Every host, no matter Thai or foreigner, has the obligation to report the stay of a foreigner within 24 hours. If the reporting is not done within the 24 hours period immigration can fine the landlord if just one day late or when some documents are not complete. Officially and practically, the responsibility to report the stay of a foreigner rests with the host: the landlord of a property, the hotel or the service apartment. Untimely reporting of a foreigner can be penalized. However, if you are the guest or tenant, you can’t ignore TM30 either: Most of the time the registration is needed when going to the Immigration office for a service, such as the 90-day reporting and sometimes for visa extentions. It still depends on the officer in charge that you're facing, but at such moment that you may find out that your landlord did not report your stay and you will have to explain where you stayed all that time. There is also a risk that you as a tenant (or guest) may be fined instead of the landlord. 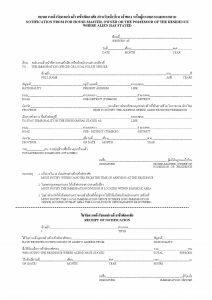 The landlord can outsource the reporting to somebody else, (the foreigner for example) a letter (Power Of Attorney) is then required to authorize this person to do the reporting (TM30) on behalf of landlord with stamps from the tax office attached on this letter. 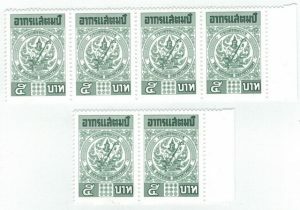 Official stamps from the tax authority office that needs to be affixed to letter from landlord giving authority to another person. After registration, the landlord (or foreigner) will get a stamped return slip that the tenant (guest) should put In his passport and use it when going to Immigration for a service. 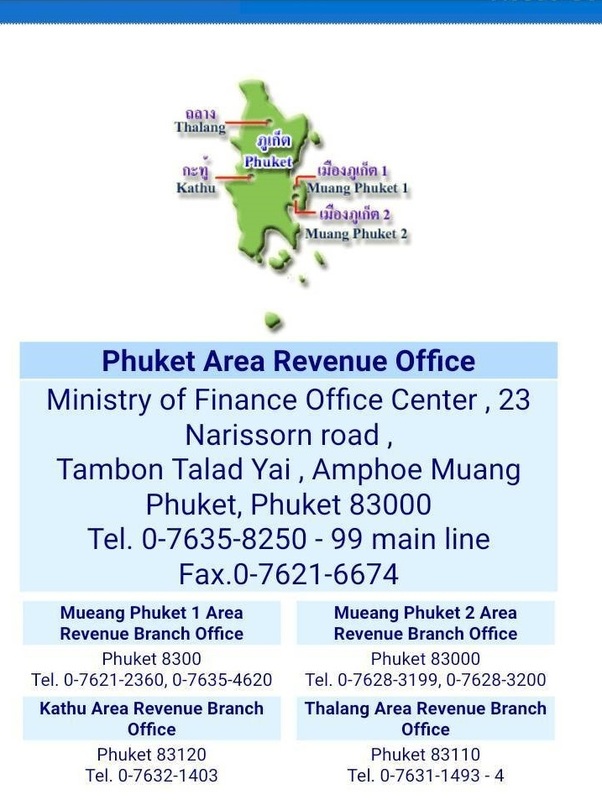 Every time you leave Thailand and return with a new (arrival and) departure card in your passport, you have to be reported again, because your departure card number has changed. The official law is that, even without leaving the country (so with the same departure card number), a foreigner still has to be reported every time that he/she changes to a new place. The owner of that place has to report the foreigner, even if it’s just for 1 day. So if you’re making a trip out in the countryside for the weekend and you’re staying in a guesthouse there, your stay for that weekend has to be reported and once you return to your primary place, you’ve got to be reported again. If you own your own property (for example a condo), that does not acquit you of the obligation to report yourself. If you have a yellow house book (tabienbaan) or co-own a house, that does not acquit you of the obligation to report yourself. In principle, the prime responsibility of reporting a foreigner rests with the property owner, not with the tenant or traveler or with the agent or property manager, but all could experience trouble when the papers are not in good order. Each individual foreigner needs to be reported, not just the head of a family or one person in a group of travelers. Are the authorities that serious? It's unlikely that you will have serious trouble when a landlord or a guesthouse/Hotel or service apartment has not reported your stay. Unlikely too that there will be any issues when you stay in Thailand for a short time and leave without having any contact with Immigration. But the moment you show up at Immigration to deal with some paperwork, you may have to show where you stayed and then it's too late. Inform the Landlord, guesthouse/Hotel or service apartment that you are not reported yet at immigration and ask them to do as soon as possible and ask for the reporting slip which you can put in your passport to avoid any problem for the future. 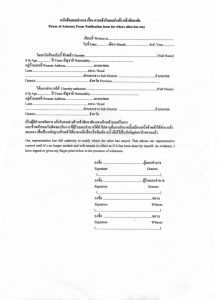 Alternatively you can do the reporting yourself as long you have the required documentation. Make sure to check with your landlord within the first week of your stay that he/she has reported you. If the landlord doesn’t want to go, you could consider staying at another place, or you could report yourself at Immigration on behalf of the landlord, but then you need to get his/her proxy first (With the Power Of Attorney letter). 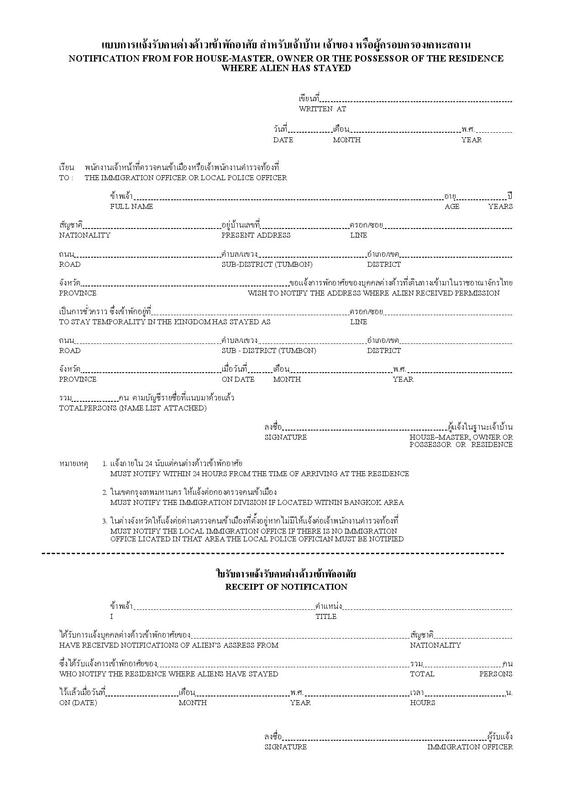 When using the Power of Attorney letter this must be stamped with a 10 Baht Tax Stamp which can be bought at your local tax office or at most book shops. Report your foreign guest/tenant within 24 hours. The 90 days reporting slip which you have possible in your passport does NOT count as an address registration.